This year started off so well for me. I even wrote a blog on Wealthy Affiliate titled 2018 Is Going To Be Amazing because business was coming in and I was feeling so positive. 2018 was going to be the year it all came together for me. I could feel it! 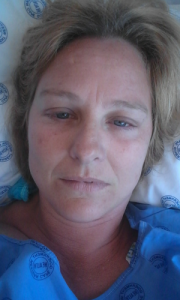 Just two weeks later I found myself in hospital finding out that I was pregnant (huge shock here since I was sterilized), I was losing my baby and my life was in danger. I had an ectopic pregnancy, which is where the fetus embeds outside the womb. There is no chance the baby will be able to make it because it was in my tube and my tube had ruptured. I had internal bleeding and if they didn’t operate I would die. Honestly I drove to hospital convinced that my appendix had burst and praying for anything else. Funny how you pray for something and then realize that the first option would have been so much easier. If you have been following my blog or read my ebook then you will know that my addiction has taken me to some dark and ugly places. The thing is that this experience I went through less than 2 months ago was so intensely painful, it beats anything that I have ever been through hands down. I’ve been beaten, I’ve been abused and I’ve been raped. And I’m still standing… but this miscarriage brought me to my knees. I didn’t want another baby, that is why I had my tubes cut when my son was born in 2013. But that doesn’t change how I felt when I found out I was pregnant. It was a shock, but it was my baby. Then I was losing it. Having that come at me out of the blue knocked me so flat I can’t even describe the feeling. One of the big things for me being an addict is that I struggle to cope with intense feelings. My coping mechanism for so many years was drugs and alcohol that it can be very hard for me to sit with uncomfortable feelings and just feel them. I remember clearly lying on the operating table feeling the anesthetics stinging in my arm, about to knock me out. Tears rolling out of my eyes, wondering how on earth I got to this place. I was just feeling the shock and it felt like seconds later when I woke up vomiting and crying. It was done, my baby was gone. A few hours after the operation a doctor came in to see me and he said he sees on my chart I am an addict and that I have been prescribed an anti-inflammatory and paracetamol, but he just wants me to know that if I do need it he has prescribed morphine. I was nauseas, emotional and in pain. I told him thank you, I will let him know. I closed my eyes and I thought about the absolutely divine oblivion that morphine would bring me. All this pain would magically go away, I could block the events of the last few hours out. It dawned on me suddenly that not once did I think about the physical pain while considering taking morphine, I didn’t care about the physical pain. I wanted my mind to be blotto. I wanted respite from the emotional and spiritual pain I was in. When the doctor came back to check on me I asked him to please scratch out the morphine on my chart. I must not have it. It hurt just saying that to him. I was going to do this the hard way, the recovery way. Have I said yet how much I resent paracetamol? I’m not sure but really I do. When everyone else is getting all the good stuff I get paracetamol after an operation. That stuff doesn’t even work for a headache… but I will take them anyway and just hope that they do something. A week after my operation I went to my GP for a checkup and he said I had a slight infection so I was put on antibiotics. He asked me how the pain was and I told him awful so he gave me some more meds. I barely looked at the meds, I was struggling to cope and I have had the same GP for nearly 7 years. That was on a Monday afternoon. On the Wednesday afternoon at about 4pm I started feeling edgy, anxious and short tempered. I checked my watch to see if it was time for my meds… still a few hours till meds time. Then I started grinding my teeth…. and connected the dots. My husband was home early and I asked him to please check the medication. He came back to me and said it doesn’t look like there is anything addictive. But I knew. I could feel it. The hunger. I asked him to check everything in it online for me please. I was too jittery and uncomfortable to do it myself. I was in the bedroom and I kept the door closed. He came back and told me it has Tramadol in it. Geez I even published a blog post on my website about Tramadol. Forehead slap. I couldn’t believe it had taken me 3 days to realize I was high. I felt so darn stupid. Then again I had been feeling dissociated a lot since the operation, so maybe I shouldn’t be so hard on myself. I phoned my mother to let her know, just to be on the safe side. Who knows what might happen even though I have years clean time behind me. It was a little scary. I looked up the withdrawal symptoms of Tramadol and it looked quite rotten but I had not been taking more than was prescribed and it was only 3 days of use. I take Seroquel in small doses to help me with my insomnia and when I am struggling with my bipolar disorder or under a lot of stress I chat to my doctor and increase my Seroquel dosage for a while. I got hold of my GP on whatsapp and let him know he gave me addictive medication and asked if I could double up my Seroquel for the night to get myself to sleep and he said that is fine, along with an apology. Fortunately I fell asleep quite quickly and aside from feeling a little but ditsy for a couple of days I coped fine, thankfully. A number of people have told me that I should take this further with my GP but really this is as much my responsibility in my eyes. Every time I get prescribed medication I have always reminded my GP and when I ask the pharmacist for over the counter medication I always tell him too. When I get home with any new medication I always do a final check before taking anything. This time I did none of those things, I was prescribed medication and I came home and took it. It is a lesson for me to never left my guard up. My recovery is my responsibility. The funny thing is that when the physical pain starting easing up it was awful. When I was in physical pain it took my attention away from my emotional pain. When the physical pain was gone then I started having to face what I was feeling emotionally. It reminded me of when I used to cut myself to get away from what I was feeling. It’s been 7+ weeks since my miscarriage and things are a lot easier now. For the first few weeks it was such a roller-coaster of pain and tears. I did write about my miscarriage on my parenting blog 10 days after it happened, but I couldn’t quite get the courage or strength to share about it here too until now. Talking about my feelings with my husband, mom, sisters and close girlfriends. Writing – both on my blog and in my journal. Being kind to myself – avoiding negative self talk and being loving towards myself. Resting and allowing myself to be sad. Letting myself cry when I felt overwhelmed. Having a session with my counselor when I got out of hospital. Remembering that this is a process and my healing won’t be in a straight line. Allowing myself to grieve for my lost baby. There are still so many moments of sadness and lots of tears. I can hardly think about what happened without shedding some tears. Life is going to throw curve balls and even in long term recovery there will be tough moments. Being clean doesn’t mean that things are always going to be easy, in fact some of the hard moments are really intense, but I don’t need drugs or alcohol to blot them out. I can face them and I can get through it in one piece. What hard things have you had to face in recovery? This entry was posted in Mental Health, Recovery and tagged emotional pain, emotions, miscarriage, pain medication, prescription drugs, staying sober. My heart goes out to you. 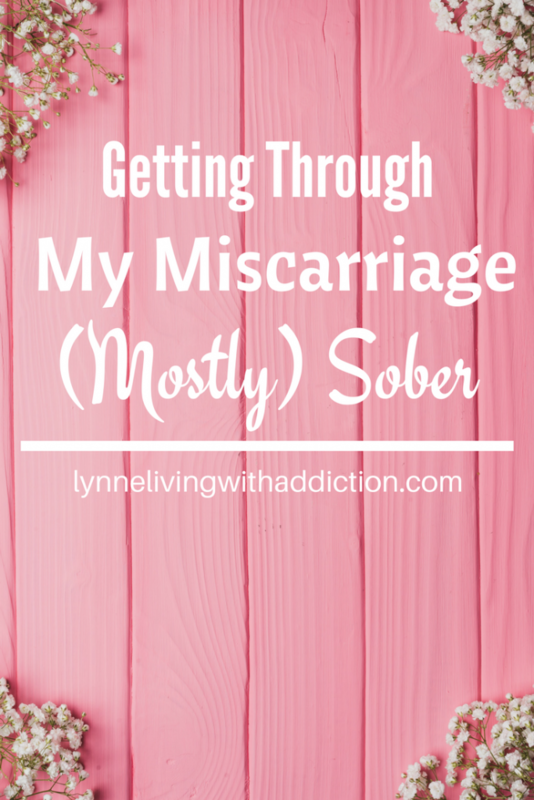 Although I haven’t dealt with addiction, I have had two miscarriages. I know all too well how physically and emotionally painful it can be. The ways of dealing with it that you discuss at the end of your post are very similar to how I got through my miscarriages. I wish you all the best and although I’m sure there will always be a place in your heart for that baby, I hope the pain eases with time. 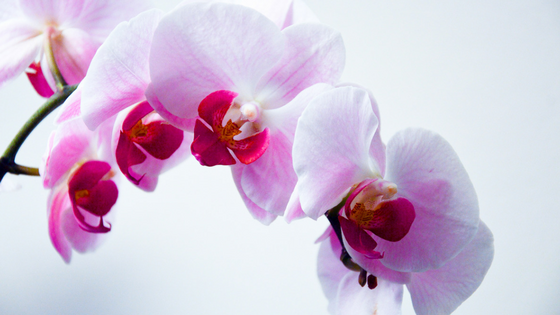 I am so sorry to hear about your miscarriages and thanks for connecting and sharing your experience with me. It always helps when I know that other people understand what I’m going through. I am starting to find find some peace and the pain is easing off a little but I can see this process is going to take lots of time. Hi Lynne- You are one tough woman. I couldn’t help but tear up reading your painful journey. So glad to see you come out the other side stronger, wiser, and resilient. Love your points at the end of how to tackle challenges such as yours…it’s all about the support network you have in place. Glad you had one as others who don’t…. have a hard time breaking the cycle.Keep fighting! Tim I really am fortunate to have such amazing support. I know that there are many out there that are not as lucky as I am. Hey Lynne, I loved your post. I am so sorry that you went through that, no one alive should ever endure such pain. I can’t understand how some people let themselves succumb to alcohol and drugs when they go through somethingtraumatic but I do understand that they see it as a way of dealing with the pain by enduring more pain. Did you have any idea or any kind of sign pointing to the possibility of pregnancy; how is it possible to get pregnant after, from I assume, is getting your tubes tied if I read that right? Anyway, I’m happy you’re doing good and I hope that’s a pain you never go through again. Your post was an excellent read. R.J. you really nailed it there when you said that addicts deal with pain by enduring more pain. Yes for a short period of time the alcohol or drug numbs everything but when it wears off the pain is worse. No I had no idea I was pregnant, it was such a shock. When the nurse said she was going to take a pregnancy test I even laughed and said there is no chance. However maybe because my tubes were cut and I was supposed to be sterilized I wasn’t noticing anything because the idea of being pregnant was not a possibility in my mind. I guess I will never know. Thank you for your kind words. Going through that in January this year was the worst thing I have ever experienced in my life, it was the closest I have come to relapsing and even now when I think about it I can feel the tears wanting to come. I am still processing what I just read in your article and I send all my Love & Healing energy towards you. I don’t know how it feels to go through a miscarriage or being pregnant for that matter because I was never pregnant. What I do know is how to deal with an addiction by a person who was close to me. I had a cousin who started her drug journey at the age of 15. I saw her struggling for many years and almost 15 years later she was clean, has found a nice guy, got married and became a Mom of a twin couple. We all really thought that this time it is for real, no more rehap or fallen of the wagon. 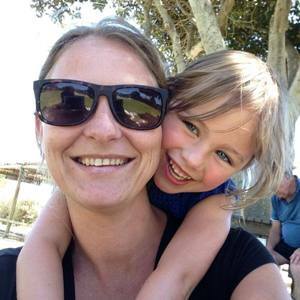 However, 6 months after her given birth she suffered a massive stroke, needed an operation where they put a metal piece into her brain and it also took her a long time to learn how to walk and talk but she didn’t recover completely. Her children she had to give to her younger sister which was a Pediatric Nurse and a single Mother. She got guardianship over her nephew and niece. My cousin’s husband couldn’t deal with the new situation and left the whole family, He was never been seen again. Or whole extended family tried its best to help her, support her and encourage her, it didn’t help in the end. One day she was gone for almost 2 years and when she came back the kids didn’t know her and she also was back on drugs. I am so grateful to share this here. My cousin’s addiction taught me a lot but no, I will never be able to understand what she really felt or went through. Still missing her to this day. Thanks, Lynne for sharing your story it still helped me too. Sylvia that is so heartbreaking. I am so sorry to hear about your cousin and what happened. Life on life’s terms can be really hard and for us addicts our “natural” way of coping is to use drugs or alcohol to squash those unpleasant feelings. I hope things come right for your cousin.